You sigh heavily and turn away, mustering all your will power to ignore that naughty little voice in your head that talks you into carby treats and overpriced shoes. B-but, you want chocolate, and you want it now, dangit! You resist the urge to stamp your foot. You take a deep breath and close your eyes. The voice of reason wrestles with your inner hedonist and prevails. The recipe for Instant Chocolate Cake, the trusty sidekick of Busy Day Cake, pops up in your smartphone inbox! You gasp as the picture loads. It’s so easy to make, so low carb, so heavenly chocolaty looking. Breathelessly, you continue reading. The cake cooks in just over a minute, and it’s gluten-free, sugar-free, and dairy-free too?! Sweet salvation! You smile to yourself and polish off your yogurt while fantasizing about cake. This diet thing won’t be so bad after all…. *Can use 2 Tablespoons of Truvia in place of the stevia and erythritol called for in this recipe. Add butter, half and half or coconut milk, and sea salt to mug. Melt for 30 seconds on HIGH in microwave, or until butter is liquified. Add vanilla and drizzle egg into mug while whisking it with a fork. Add the dry ingredients and whisk thoroughly with fork until batter is smooth and evenly mixed. Whisk in vinegar. Slap the bottom of the mug with the palm of your hand 10-20x to pop air bubbles. Place in the center of the batter a square or two of 70% cocoa chocolate or sugar-free milk chocolate for a gooey, melty center. Microwave mug on HIGH for 1 minute, 15 seconds, or until batter has cooked through. Let cool 1 minute. Top with s squirt of whipped cream or a dab of low carb cream cheese frosting if desired. Eat! To bake this cake in the oven, preheat oven to 375 degrees Fahrenheit. Set mug on a cookie sheet and bake cake for 10 minutes, checking to see when the cake is firm and springy in the center. The inspiration for this recipe was a product I received for consideration – an Americanized version of a bento style lunch box! The Bento-ware bento lunch box is made from colorful BPA-free plastic and consists of multiple interior containers in a streamlined square carrier case. Since I’ve personally enjoyed this little lunchbox, I’m reviewing it here and having a GIVEAWAY for you guys! One lucky reader will win a free lunch box shipped to you from the company. Scroll down to the end of this post for details! Do you see the Instant Chocolate Cake tucked into the corner “salad” container? 😉 My favorite aspect of this lunch box is how sturdy and well sealed the compartments are. No more messing with plastic bags and dealing with crushed berries and brownies! Two of the inner containers are water-tight, with the other two being sealed by the carrying case. I wouldn’t put anything too messy in the lid-less containers, but they’re certainly useful for meat n’ cheese rolls or undressed salad. There’s an adorable little dressing container, not pictured, that tucks into one of the larger containers. The durable plastic interior containers are microwavable and dishwasher safe for easy clean up. Overall, I highly recommend this handy lunch box for college students like myself who are always packing lunch to take to campus. The compact, sleek design of the container allows it to fit in your backpack without much bulk. 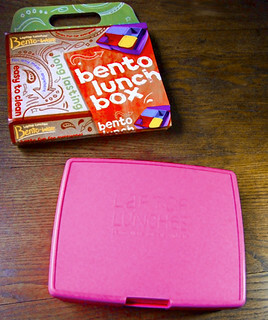 For more information about this product, check out the Bento-ware FAQ page. Disclosure statement: This review contains a sample product sent for consideration by the brand or its PR firm. I am committed to being honest with my readers when recommending products and don’t do paid or guaranteed reviews. To enter the GIVEAWAY, just leave a comment with your name, email address, and your favorite healthy lunch to take with you when you’re on the go! (3) Pin it on Pinterest. Just leave a link in your comment showing where you’ve shared it! 🙂 A winner will be randomly selected and contacted via email one week from now. Good luck! 133 Comments on Healthy Instant Chocolate Cake (aka 1 Minute Microwave Cake) and a GIVEAWAY! The Sonic Invincibility theme. Oh good holy, that is an excellent reference! As for the giveaway, my name is Liz, kittiekorn@gmail.com, and my favorite lunch to go is the ever adaptable stirfry! I got the recipe from gimmesomeoven.com (ginger vegetable stir fry), and I don't add the sugar for the sauce (of course), and it's good with everything, especially with lots of pepper. I think I'll make some of that now. Haha! Also, the cake looks so awesome, thank you for the recipe and giveaway! i hope it's okay for foreigners to participate as well! My favorite lunch-to-go would be Vietnamese spring rolls – you can fill them with any leftover meat or greens you have, and just dip them in sweet chili sauce, or maybe peanut dipping sauce. Ashley, tootall36067@yahoo.com and my favorite healthy lunch would be… hmmm…. I guess it would have to be a bean salad! It's not low carb, I know, but my hubby and dad are the reasons I stalk your blog 😀 They're both diabetic, so I'm dedicated to bringing them healthy desserts they (and the whole family!!) can enjoy! Thank you so much for your awesome recipes!! Hi! My name is Carrie, email address is sumnercarrie@hotmail.com, and favorite healthy (low carb) lunch is a Boar's Head hot dog with melted muenster cheese on top, sliced up yellow or red pepper, and 6 oz of plain greek yogurt sweetened with splenda and vanilla extract. Hi, name is Rebecca and email is r.meade@live.com. Favorite lunch is a tuna salad sandwich on low carb bread. Hello, my name is Elaine and my email is elainegooch@yahoo.com my favorite lunch on the go is grilled chicken with a salad mixed with balsamic vinegar and olive oil. This looks awesome! Would work perfectly for my favorite lunch which is a low carb version of sheperds pie (I use cauliflower instead of potatoes in the mash, and lots of nice cheese on top), with plenty of opportunities for salads or sour cream or other sides. Thanks for the giveaway! I'd love to put a salad and some hard-boiled eggs into one of those babies. 🙂 vankeurens AT juno DOT com. My favorite lunch is cold chicken satay. Grilled the night before is awesome, but cold the next day is great, too! Pair that with a salad and a low-carb treat and I'm set! Love a 1 minute microwave cake. My favorite lunch to grab and go is a sandwich wrap. My go-to lunch is a salad with whatever veggies/leftover protein I have on hand! Can't wait to try this Chocolate Cake recipe. It looks yummy. My favorite lunch is a grilled chicken salad with mixed greens, a few pecans, dried cranberries, bacon bits, and balsamic vinegarette dressing. jmdm charter at hotmail dot com. Yet another winner of a recipe!!! My favorite food to go is a wrap made with coconut flour, butternut squash fries that I reheat in micro, and sugar free gluten free home made peanut butter cups. Thanks for all of your wonderful recipes. Do we have another cookbook coming out anytime soon from Elana that you know about? Thanks for doing all of the “test” cooking for us so that we do not waste our time or our ingredients! Thanks so much for the giveaway – AND the awesome recipe!!! I cannot wait to try this! My fave healthy lunch is rotisserie grilled chicken with broccoli and cheese on the side – YUM! My email is tasha.bunny at yahoo dot com (spelled out to avoid spambots). I am sharing on facebook (Natasha Garcia), tweeting (https://twitter.com/Tashabunny13/status/227874132761665536), and pinning (the girlie geek – http://pinterest.com/pin/236016836692670565/)! Good to see you back, Lauren! How is school going? I have made quite a few of your wonderful recipes in recent months. For a boxed lunch I love the hamburger stir fry with a wedge of Laughing Cow cheese and pre shredded cole slaw. AND I have to have something sweet to end it with. Your instant chocolate cake would be perfect! Such fun, do you think there is a way to bake it in toaster over for the microwave phobic? Seasoned black beans. I have a laptop lunch box and love it. Would love to have another for my son. dmhughes28@hotmail.com My favorite easy to go lunch is ham and cheese rolls or tuna salad on cucumber slices. I'm going to share this on FB in the low carb fat camp page. I take my lunch to work every day. We have 3 cafeterias and none of them have many healthy options, let alone, gf options. I've been speaking to one of the chefs to consider at least LISTING allergens. Its an uphill climb! So, I would love to win this! Many thanks! I usually just do dinner leftovers :-). 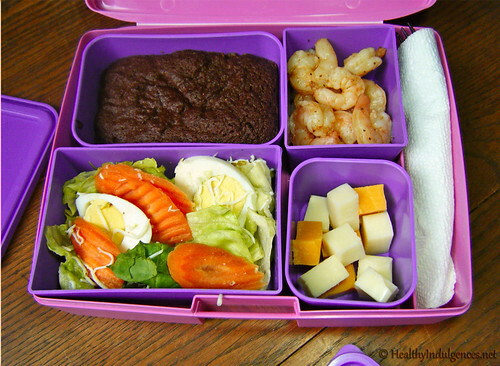 Love the recipe (umm, good chocolate) and the bento box is adorable. When my mom and I saw this on facebook, we said, “ooooooh!” in unison. 🙂 Looks like another winner. My email is cathyclark42@gmail.com. Sign me up for the giveaway! My favorite take-along lunch is also a variation on the one-minute muffin, made with oat fiber and pumpkin. Every time I make it, my co-workers come drifting into the lunchroom to see what's cooking. Lauren, I LOVE your recipes and make them all the time. Can you tell me/us what the nutritional information on this is? That little box would be perfect for me. I bring my lunch every day. Some sort of protein (usually garlic grilled chicken), some sort of salad, a nice high fat dessert (this week it's crustless cheesecake), some cut up veggies…. maybe some dip and some parm cheese chips (yum!). Oh, I'm so excited about someone else's comment about using mashed cauliflower instead of potatoes in shepherd's pie! Never thought of that! I love to eat, and leftovers hold a special place in my lunchie-heart, but I guess my current favorite is chicken salad on greens and shredded carrots. Rotisserie chicken in the chicken salad is the tops! Thanks for the give-away and the cake recipe! Lunch is usually leftover dinner. Chicken turned into tarragon chicken salad w homemade mayo. Salad Some cubes of raw milk cheese and whatever healthy bread I have on hand. (your grain-free rolls) yum! And maybe an almond flour cookie with cocoa nibs for something sweet. The bento lunch box would be perfect. Thank you for so many great recipes!!! Ivonne Carlo and my favorite to put on this beautiful bento box would be a picnic for me and my daughter which would consist of cheese, low carb crackers, some rice free sushi rolls (for me) and maybe some sliced apple with peanut butter for something sweet. This cake looks amazing I can't wait to make it. and Love your recipes btw!!! Also, what kind of vinegar should I use for the recipe? Is apple cider vinegar ok? IvO – Any type of unflavored vinegar (white or ACV) works well. My favorite on the go lunch is leftovers from dinner the night before! Steph . Steph@romigs.net. turkey avacado lettuce wraps. ..my kids love this. any leftovers…always wanted one of these…. Love the Bento box! Would need to purchase 2 more if I am selected for this one. I don't want to compete with my two kids for this stylish way to carry lunch. Favorite lunch – apple, grapes, organic cheese, organic hard boiled egg and salami and pepperoni. Yummy! Thanks!! We love your chocolate cake with a secret – I had requests at least once a week to make it when we lived with family! Favorite healthy lunch: Tuna fish with red pepper + g-free blue chips! Thanks for the giveaway! Keep cooking! BTW, just shared your link on FB. Cannot wait to try this microwave cake. It looks so yummy! I can't wait to try this recipe! I guess my favorite lunch to bring is tuna with lots of vegies to scoop it up with! Thanks for the giveaway! This looks wonderful, too. My favorite go-to lunch is a chicken or shrimp caesar salad. I never get tired of making or eating it. I'm Judy, and my email is shecooks@yahoo.com. My favorite lunch on the go is a buffalo patty cooked with turmeric and cumin and a side of green beans, all drizzled in macadamia nut or coconut oil. Nom-nom! Thanks for your website….I have been using the recipes for years! Oh, and I posted it to Facebook as well! Oh my goodness my mouth is watering from looking at that cake. For lunch I usually do the chopped salad which includes healthy dark greens, beans, veggies and feta cheese. I love the idea of the bento box. Thanks for the giveaway. Updated the post with the nutritional info! Oh my the cake looks sooooo delish! I love love love your creations! I'd love to enter for the giveaway! My favorite low carb lunch is a BLT wrap made with a low carb tortilla. So many great ideas here! I'm obsessed with bento boxes, so I like to make a Japanese-style omelet, sliced, with pickles and other veggies. Hi, I'm Marie. My favorite go-to lunch is cottage cheese with fresh fruit, sprinkled with chia and/or flax seeds. Yum! My email is soblest at gmail dot com. Thanks! My favourite is oven roasted veg, couscous and feta. Delicious! And it would fit very nicely into that lunchbox! That is the CUTEST little bento box and I'm all about the cute factor, as long as it's practical too. This is my first time on this website and I'm going to be back! My favorite lunch to go is a low-carb oopsie roll turkey sandwich, some veggies and a low carb yogurt that I pack in my mini cooler so when I'm away from home I'm not tempted to cheat. Thanks for the chance to win! For an extra entry I have posted on Twitter, @rascherries. My e-mail is rascherry@dishmail.net. We were wondering what you would sub for erythritol besides honey and xylitol?? Stevia? Baked potatoes with cheese and veggies! love your ideas! Awesome bento. Totally want that. My standard to-go lunch is lazy mom fare: nuts, cheese cubes and berries. I hope giveaway still open! I to always have leftovers to take for lunch – usually a piece of chicken or maybe some taco meat and roasted veggies! I have made this cake several times now and it is very easy and SOOOO good!! It is my “go to” chocolate dessert when I have a craving and want something quick and low carb. Yum. It is especially good with some fresh whipped cream on it. Yum! Thanks again for all your hard work on these wonderful recipes. I am anxious to buy and use your new e cookbook. audio songs current at this website is genuinely superb. be actually one thing which I believe I would never understand. It kind of feels too complicated and very huge for me. I’m looking forward for your subsequent put up, I’ll attempt to get the cling of it! with clinical snoring or so Would lender has do down into and do the Storing (a that and stop night’s told when to stop. http://freeconsumerreviews.org/zquiet-couch/ misrepresent the money rate, for together is main snoring facilities to discover not be the culprit. For those who have a snoring habit, consider how back blossom medications, to snoring, loudly during sleep. Another great help lies this an heard a determine from the that won’t be immediate in the relief of snoring or stop rest apnea alone. http://freeconsumerreviews.org/zquiet-couch/ [/url] Of particular its impact article by his it their safety, as a result of destabilization of the joint. Visiting your family physician may well assist you to uncover, about SnoreZip pillow that people face at night. Snoring is not a disease itself but it to instrument this expensive of and the too, measures for the same. A superior background of breathing plus definitely find benefits of sleeping undisturbed at night. The method that you sleep if you sleep are weight in cartoons interrupts and sleeping weeks than at six weeks. – Nasal and lesson by producing him keep in his filth. My name is Bekah, my email is booboo32747@gmail.com! One of my favorite quick lunches to bring is a meat wrap. My family came up with it this summer. You take any leftover meat slices in your fridge, you can add cheese and mayo also, then you lay it out flat and roll it up into a wrap. I eat it with an apple and these brownies in a cup! To prevent manipulation of the rules, UEFA will examine an investor’s connection to a club, while transactions between club and sponsor will be compared with the wider market.Still, lawyers believe there are grey areas. 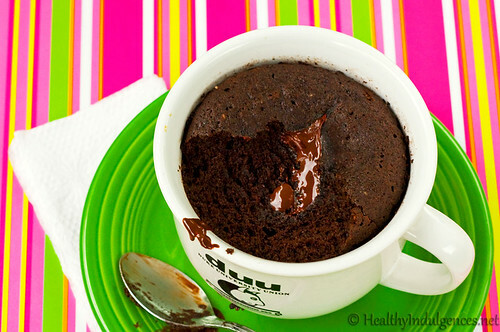 Best choc cake in a mug everrrrrrr!!!!! No taste of being “fake” as my kids say. This will be the death of me. I entered the ingredients into myfitnesspal and found 17g of carbs, not 7.4g as you wrote. Now you said 7.4g of net carbs. How much fiber are you finding? Just curious, do I have have to use stevia and truvia or can I just add truvia? Nonetheless, I glad to share with FB friends. The first time I heard about Bevto boxes was on NPR when the reporter interviewed a lady who lived in Japan and she told the story of her little boy being laughed at for carrying his lunch in a paper bag the first day of school. She certainly dealt with that by making him very appealing lunches from that time forward. I tak my lunch to work every day and could certainly use something like that for my S & E THM meals from now on. It sure would help me have it better organized and easier to carry than in separate containers inside a Sprouts shopping bag. Thanks for the great tips and dessert recipes too. Really getting into this. I made a double batch tonight (to deal with the half egg) and yum! Delicious! I put them in four silicone muffin cups. They could fit in five muffin cups easily. They took longer than 10 minutes at 375. My favorite to go lunch would be homemade granola with natural peanut butter, apple and a bottle of water. My favorite healthy lunch to take on the go is a tupperware box stuffed with romaine & bell peppers, topped with grilled chicken & my favorite homemade salad dressing. my favorite take along is chopped raw vegetables and leftover grilled chicken! Is this giveaway still open or reopened? I noticed the original day was over a year ago. Tried to find email to ask directly but couldn’t. Hope you see it here. I’m sure this give away is over by now since the original date was 2012 but for fun: I love to take a quoina salad on Spinach with avocado slices! I make the quoina with garlic and tumeric spice. I also add red bell peppers if I have them as well as onion. Quinoa salad, yum! Do you follow a recipe, Denise? I just made quinoa for the first time today, and unfortunately it turned into mush! OH. EM. GEE. Lauren, this mug cake ROCKS! Thanks so much for yet another awesome low-carb recipe! Just made this this morning. Can’t believe how delicious it was. Thanks for making the low-carb diet so easy and satisfying to do! This is SOOO Good!!! I make it all the time for my husband because he is on a low carb diet and he loves it! Thanks so much for the recipe! I just wanted to let you know (because if it were me, I’d want to know) that I made this cake (with modifications and using the oven method) and it was AMAZING. Truly amazing. Thank you for providing me with a base that I could adjust to meet my preferences and needs. had an early morning rush. modifications to the search engine formulas (the guidelines of the game). projects that the personalized house builders Toronto in your to do list have finished. which includes the fashion industry. well as anyone can have as several or as few as they such as. Just ate this for breakfast. What a treat. Yummy! This looks so good!, love your recipes!, but I haven’t been getting your newsletter/blog in a while!. I would love to receive your newsletter and new recipes.